Kaho’olawe Island once flourished with native flora and fauna, but ranching and invasive species changed the course of this unique ecosystem. Today the island of Kaho’olawe appears to be a small barren piece of land, but this island once flourished with native plants and seabirds. Located only seven miles southeast of Maui, the island was historically considered by Hawaiians a sacred place deeply connected to the surrounding ocean. The island’s proximity to Maui allowed people to transport valuable resources from Kaho’olawe to Maui. Although the island never had large-scale agriculture, it did support small agriculture plots of sweet potatoes and other crops. The flourishing island began to change at the end of the 1700s after the introduction of goats, sheep, and cattle drastically altered the island ecosystem. Overgrazing led to soil erosion, but this was only the start of a dramatic change in the island ecosystem. 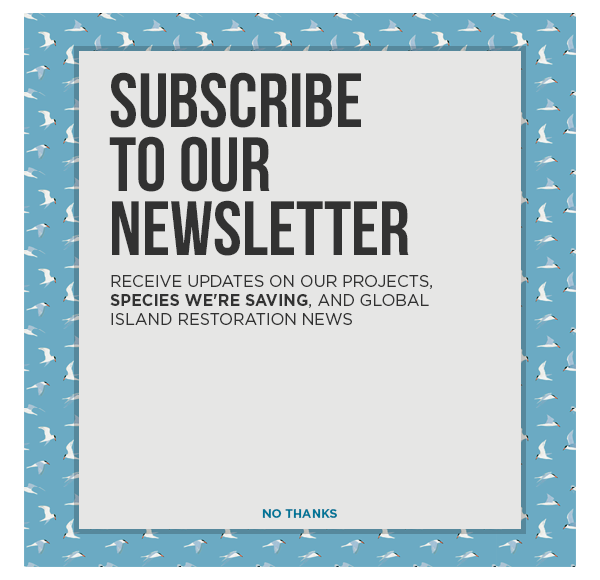 Now Island Conservation and our partners are working to restore the island and revive the native species that once thrived there.